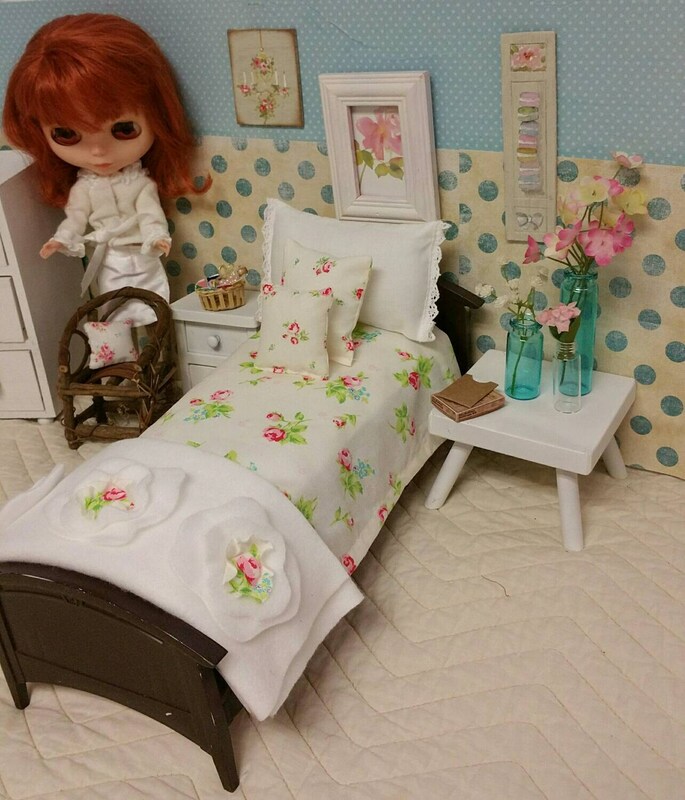 Enjoy your new, beautiful, Blythe Doll, shabby style, bedding. 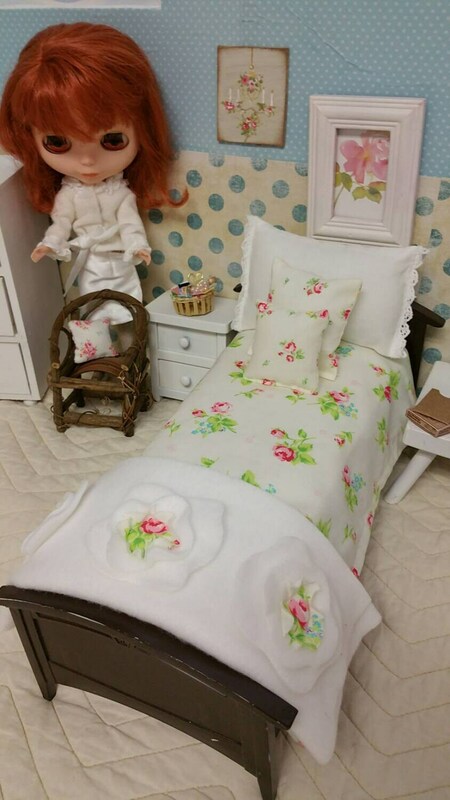 Listing includes floral sheet and blanket with floral rosettes on the blanket designed by me. 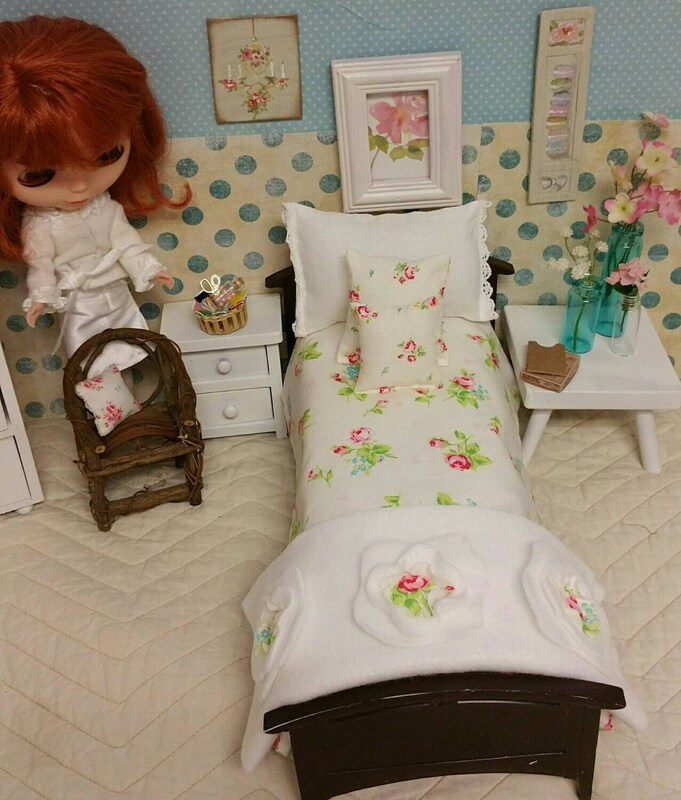 Bedding can be folded back as shown or used as a comforter. 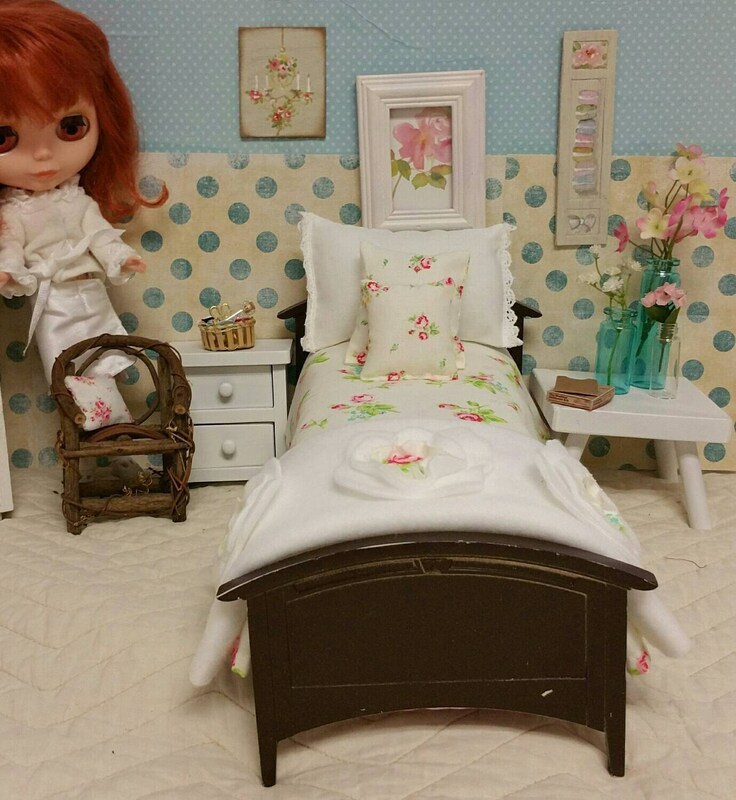 I used a standard Barbie doll bed that I spray painted.